@ Old Navy, Today Only! Use a Mastermind giftcard (issued before Christmas), and get an additional 15% off. 15% off worldwide with code 4NJKH3R1, valid today only! Click to find out more about the Boxing Day extravaganza at Hill Street Blues. A great place to buy jeans. Snow White @ Solar Stage Children’s Theatre. Ages 3-10. Playing until Jan. 2nd. Disney On Ice @ Rogers Centre, playing until Jan. 2nd. A Year With Frog & Toad @ the Lorraine Kimsa Theatre , until Dec. 30th. 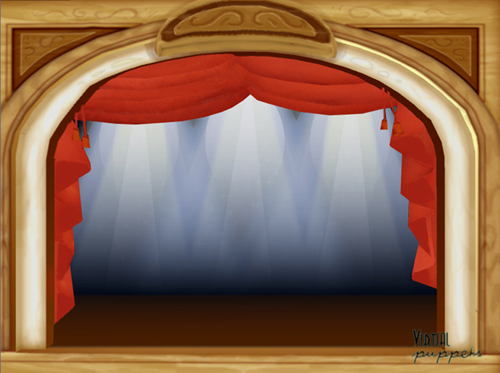 Lower Ossington Theatre has 4 shows playing over the Winter break: Pinkalicious, Tabitha & the Time Machine, Free to Be You and Me & Happyview P.S. If you want to take your kids to the movies this Winter Break, Rainbow Cinemas has $5 Tuesdays. Yes, I know that people have seen fruit before and flower bouquets too…but this is a Mamapick’s tested way to knock people socks off, especially when they work at an office. Posted in Coupons, Deals, Gifts. I always struggle with gifts for the 8-12 crowd. This seems like a great one! Available tomorrow at Mastermind Toys. Extended hours and free gift-wrapping makes this store hot. Mexx has such beautiful styles for kids. I always love their colours. What more, the new Mexx maternity line is so nice, that it could make me want another baby. Print your invitation by clicking on it. Give your kids a great musical experience with Sonshine & Broccoli. With Broccoli on guitar and Sonshine on the mic, this duo has been entertaining kids of all ages at concerts, classes, parties and music festivals for years. Spending time with Sonshine & Broccoli means enjoying a fun-filled, interactive concert which gets everyone off their feet! To celebrate the launch of their new website, there are 3 Sonshine & Broccoli prize packs to give away! Each includes a t-shirt and two CDs! To win, check out the website and let me know what the dress code is at the next family sing-a-long. The first three people to e-mail me the answer win. Prizes must be picked up. Located on Queens Quay West on the shores of Lake Ontario, The Natrel™ Rink is the city’s winter gem. In addition to public skating, it hosts a variety of our fall and winter programming including Learn to Skate, HarbourKIDS: SK8 and DJ Skate Nights. Cozy up next to our fire pits with ample seating. The Natrel™ Rink has an indoor change room with lockers and washrooms; and hot food & drinks are available at our rinkside restaurant, Lakeside EATS. On Dec. 11th, Home Depot locations are holding a free 2-hr. workshop for kids ages 4-12. They get to use a hammer. Please call your local Home Depot for information. On December 11th at Noon, go to Hillcrest Mall for their Make A Toy, Give A Toy event. Children will stuff 2 teddy bears – dropping one into the Toy Mountain bin, and keeping the other. This activity is only $5 with net proceeds going to the Salvation Army Toy Mountain Drive. Everything is supplied and it all takes place in Centre Court. Space is limited and available on a first come, first served basis. Jay the Juggler will be there at 11am and 2pm. Enjoy a European style Christmas market at the Distillery District (noon-8pm daily). Handcrafted goods, family entertainment, a ferris wheel, carolers, choirs, and more. Sounds divine…hopefully temperatures will climb just enough to make it enjoyable to stroll. The Shops on Donmills is offering horse-drawn wagon rides through their festive outdoor mall. Santa will be strolling! Hmmm…I smell dad with kids and mama soaking in Anthropologie. Trail of Lights + Restaurant Giveaway! Downsview Park’s Trail of Lights is one of Canada’s largest light shows, spread over 3 km. of a drive-thru trail. Enjoy the themed displays of over 400,000 LED lights with your families until Jan. 2nd. On Wednesday nights, the trail is reserved for pedestrians and whoever wants to cross-country ski! Mamapicks readers have a chance to win a family vehicle pass (worth $25) as well as a $100 gift certificate to the great restaurant located inside the park. What a great family treat! To win, go to the trail website and find out what the name of the restaurant is. The 10th person to e-mail me the answer will be the winner of this incredible giveaway. Good luck! In my recent internet travels, I came upon this beautiful blog called How About Orange and it instantly brightened my day. 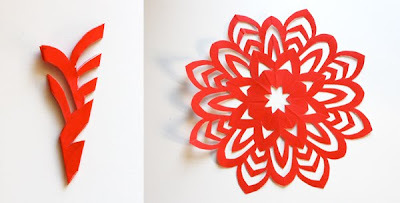 This great post gives you instructions for creating a snowflake garland with five-point-star snowflakes. Something fun to do with the kids on a cold afternoon. You will love this blog, check it out! It’s always sudden…the arrival of snow. This year, my kids don’t even have snow boots. Let’s hope the ones from last year fit. Let’s hope I can find them. Amen. BTW, free shipping and free returns when you order over $50 worth of stuff.